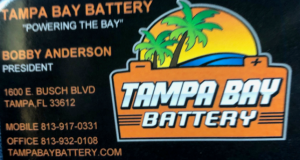 Electrathon of Tampa Bay WELCOMES our new Sponsor Bobby Anderson of Tampa Bay Battery. Tampa Bay Battery is located at 1600 East Busch Blvd, Tampa FL 33612. 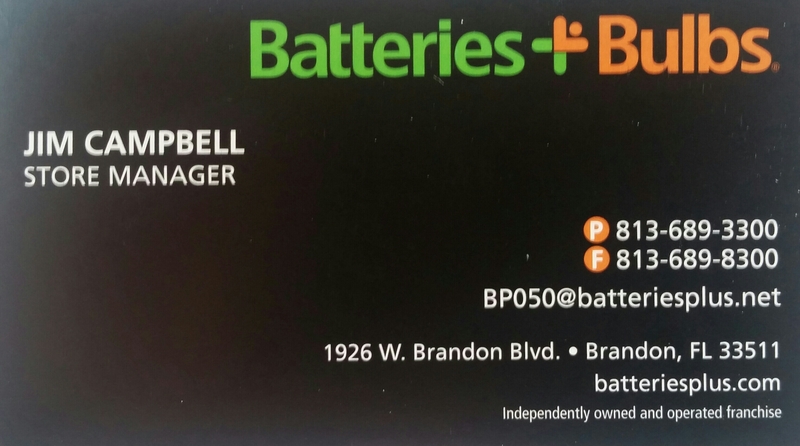 Bobby is offering brand new yellow top D35 batteries for Electrathon of Tampa Bay Teams for $189.95 each. Contact Bobby at Office: 813-932-0108 or mobile 813-917-0331.